The OHS cares for injured, lost and homeless animals that are brought to the Municipal Animal Shelter by municipal bylaw officers and the general public. How long does an animal stay at the Municipal Animal Shelter? In accordance with the City of Ottawa Animal Care and Control Bylaw, stray animals are held in the Municipal Animal Shelter for a period of three full days (not counting day of entry or statutory holidays) to allow their owners time to claim them. funds to pay the release fees (cash, credit or debit card – no cheques). Release fees vary depending on the length of time the animal has been in the Municipal Animal Shelter. The animal cannot be released without release fees being paid. funds to pay a licence fee (cash, credit or debit card — no cheques) if your animal is not registered with the City of Ottawa. 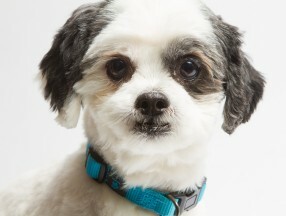 See www.ottawa.ca for current animal registration fees. Please contact the OHS at 613-725-9998 prior to your arrival to confirm your fees payable. If there is no answer, please leave a message, and we will return your call as soon as possible. 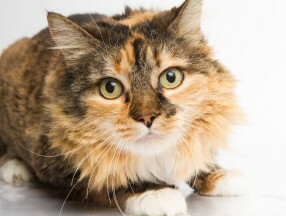 What if I do not claim my pet before the stray period expires? If an animal is not claimed after being held for the mandatory stray period of three full days, the animal is then assessed to determine his/her suitability for adoption. The OHS verifies that the animal is in good health and not demonstrating aggression. Animals considered suitable for placement will receive required veterinary care within our resources to provide, be sterilized, then transferred to our Adoption Centre so that they can be adopted into a responsible loving new home. For information on the City of Ottawa’s Animal Care and Control Bylaws, please visit the city’s website at www.ottawa.ca. 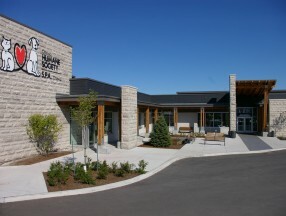 The City of Ottawa Spay/Neuter Clinic is located at 26 Concourse Gate. Their phone number is 613-798-8970. The OHS cares for thousands of lost and stray animals each year. Cats make up the largest of our stray population. Pet owners who have lost their pet must visit the OHS as soon as possible to see if their animal is here, file a lost report, leave a picture and visit the shelter at least every three days to check for their lost pet. Most stray cats that have been admitted to our shelter also appear on our website; however, checking online does not replace the need to visit the shelter regularly to look for your lost pet. Microchip or other identification (tattoo, licence and/or I.D.) makes it easier for shelter staff to identify a lost pet and try to contact the owner; however, given the sheer volume of stray animals arriving at the shelter every day, you must take responsibility for finding your lost pet. Visit our Lost and Found section.